The city council approved a measure to lease the second floor of the Society for Establishing Useful Manufactures (S.U.M.) administration building on McBride Avenue to the Hamilton Partnership for Paterson. Under the lease agreement, the partnership will pay $7,020 in rent annually for 390 square feet of space. This amounts to $18 a square foot which is the market rate for high end office space in the Silk City. Lease agreement runs from October 10, 2016 through October 9, 2017, according to the resolution approved by the council on December 20th, 2016. The council approved the lease agreement in a 7-1 vote. Councilman Michael Jackson voted against the measure. He argued the city is paying $40 per square foot for the television studio on Ellison Street, but here it is leasing a building within the picturesque park for $16 a square foot. “I don’t think you’re comparing apples to apples,” said mayor Jose “Joey” Torres to Jackson. The administration at the time argued the television studio is considered “specialty” space which costs much more per square footage. The city entered into a 15-year lease at $40 per square foot for the Ellison Street studio. Economic development director Ruben Gomez at the time said specialty space like television studios fetch as much as $60 per square foot in the city. Torres said leasing the second floor of the S.U.M. administration building is an interim measure while the city works to convey the land to the National Park Service. “The reality is this property is going to be going to the National Park Service,” he said. “It’s going to be deeded over.” The lease agreement is viewed as an opportunity for the city to bring in revenue pending the land conveyance. The mayor lauded the work of the partnership in raising funds to make the Great Falls Historical National Park a viable visitor destination. “He has single handedly taken on, through the Hamilton Partnership, the fundraising for the visitors’ center,” said Torres speaking about the partnership’s president Leonard Zax. Councilman Andre Sayegh also pointed to the $19.7 million visitor center the nonprofit organization proposed for the park. He suggested residents visit the organization’s website to learn about the work it has been doing to improve the park. 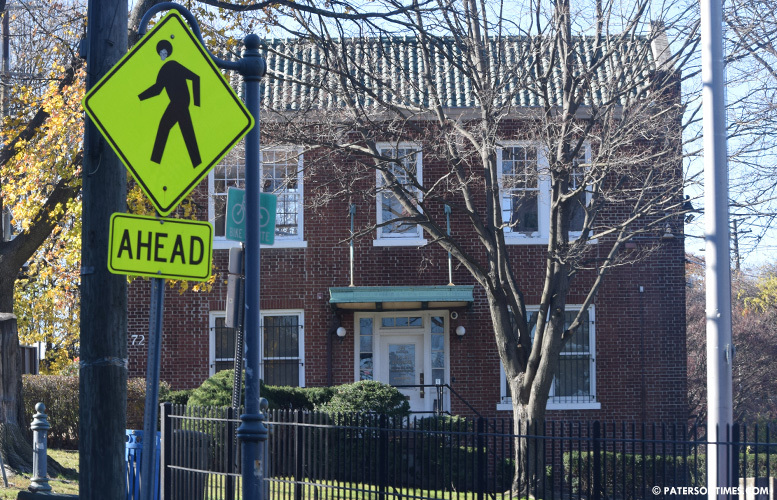 The partnership is moving from the New Jersey Community Development Corporation (NJCDC) building at 32 Spruce Street to 72 McBride Avenue. It has three full-time staff members who assist the National Park Service at the park.